Indiana joined our family when Jake was one year old. He recently died quite suddenly after silently suffering with bone cancer for apparently some time. He was a faithful wonderful dog up until his last breath. 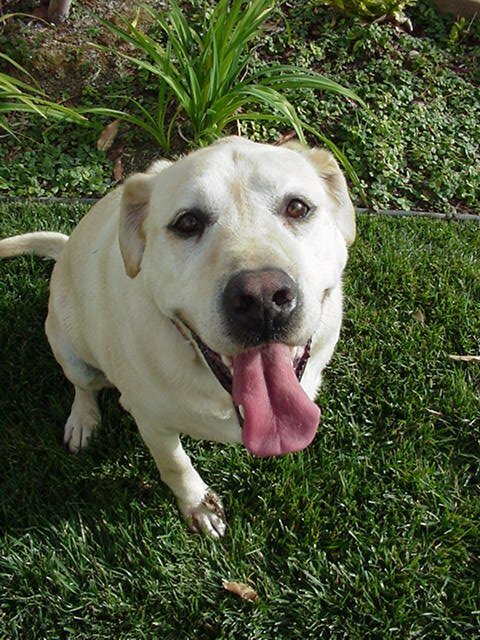 Indiana was a Yellow Labrador Retriever. While he was 13 when he died, he thought he was a puppy up until the last few years. At his peak he was over one hundred pounds but with a very sweet disposition. His AKC registered name is Indiana Jake. We included his young m aster’s name in the registration because the two of them seem to share a brain at times. We also registered Indy in Jake’s name so that we can remind Jake when it’s time to take care of his dog that indeed, it is his dog, and here’s the proof of registration. This decision led to an interesting phone call about a year of Indy’s arrival. 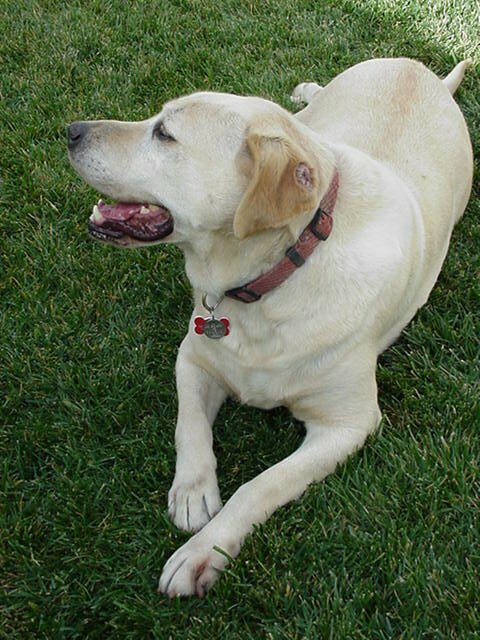 VISA called, asking to speak to Jake to offer him an American Kennel Club credit card that would have a picture of a Yellow Lab and Indy’s embossed name on the card. When the operator asked to speak to Jake and stated his business, we gave the phone to Jake as requested. Although the operator had a great laugh, the offer of the credit card was withdrawn. Indiana will be missed and he has left some very large paws to be filled.